The Namaqualand blanket is very dear to my heart. 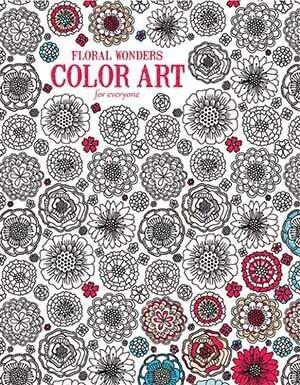 I designed it for my South African crochet tour with Be Inspired last year and the colours and pattern are meant to reflect the beautiful flower-strewn fields that grace Namaqualand every spring. 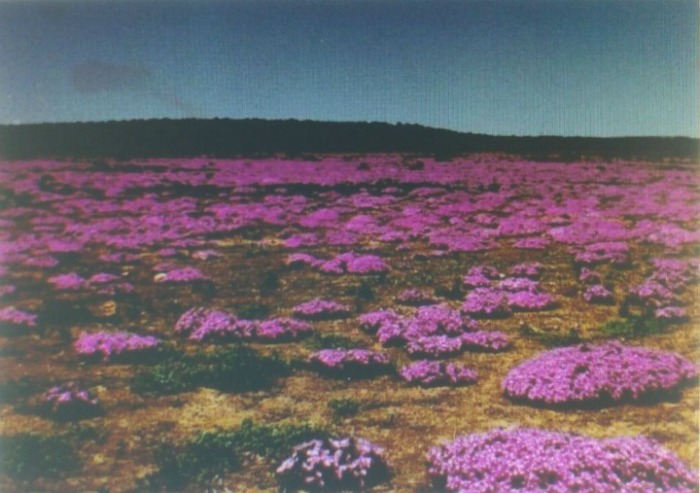 Although I have never seen the Namaqualand flowers in real life, they were a very ‘real’ part of my youth and education. I’m going to go off on a little bit of a tangent now, so please indulge me. In England, ‘Spring Day’ (the first day of Spring) is not a thing. It is SO not a thing that it doesn’t even have a name. BUT in South Africa, we celebrate ‘Lentedag’ (Spring Day) every year (or at least we used to when I was still living there). We have songs and poems and festivals dedicated to it; magazines herald the start of the floral season and tv programs dedicate slots to the fact that Spring has sprung. 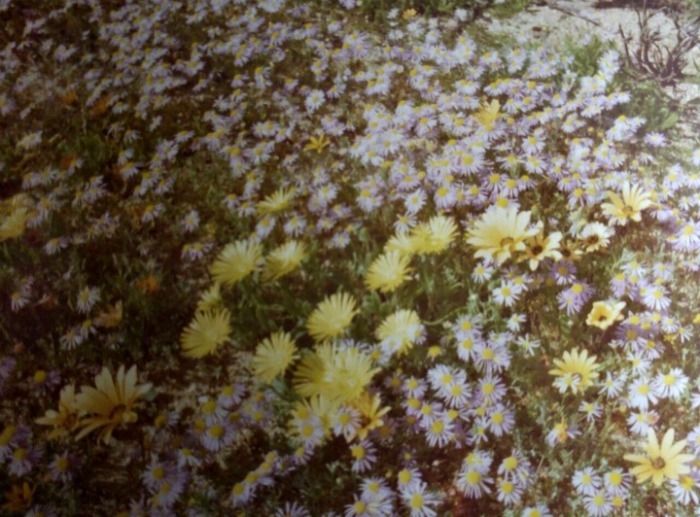 These celebrations of Spring invariably included commentary and/or photos of the Namaqualand flowers. I wish I had beautiful photos to share with you, but I don’t. You can, however, see plenty of gorgeous photos HERE as a Google Image Search. My mom’s mother, Ouma Erika, was born in Namaqualand in 1933. 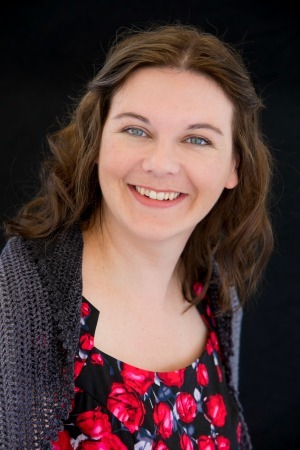 When her mother died, she was adopted by Daantjie Scholtz (a local lawyer, mayor of Springbok, Member of Parliament for Namaqualand, and owner of the prestigious guest-farm Naries) and his wife Ouma Epie. In 1975, the year television first came to South Africa, Ouma Epie was interviewed on tv. She spoke about how, on ‘good weather days’, her husband would declare the town ‘closed for the day’ so that all the inhabitants could go and have a picnic in the flower-filled fields. This is a photo/postcard Ouma Epie sent my mom in 1979 (just over a month after my parents were married and 2 years before I was born). And this is a photo my Ouma Erika took around the same time. It does not even come close to doing the flowers justice, but just look at those clumps of purple flowers! Wouldn’t you love to have a picnic there? So now you know why this blanket is special to me in so many ways. 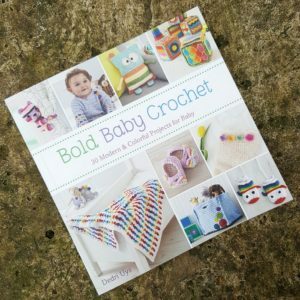 It is a celebration of crochet and colour just as much as it is a celebration of my heritage. 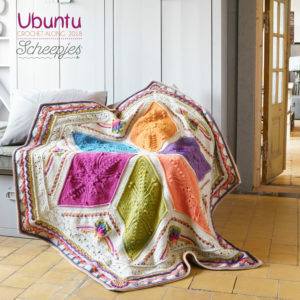 Just like Sophie, the Namaqualand blanket is a square. At 1 m x 1 m, it is meant to be a bold baby blanket or small lapghan. I have used Scheepjes Stonewashed (in 8 colours) and a 4 mm hook. Yarn packs for the original colourway (including a printed written-only pattern) will be available from Wool Warehouse HERE next week (you can use the ‘Notify Me’ function to let you know when the yarn packs go ‘live’). 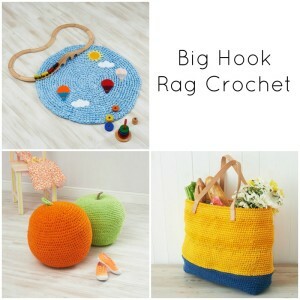 If you are in South Africa, yarn packs are already available HERE from Be Inspired (the written-only pattern is available as an add-on to the kit). 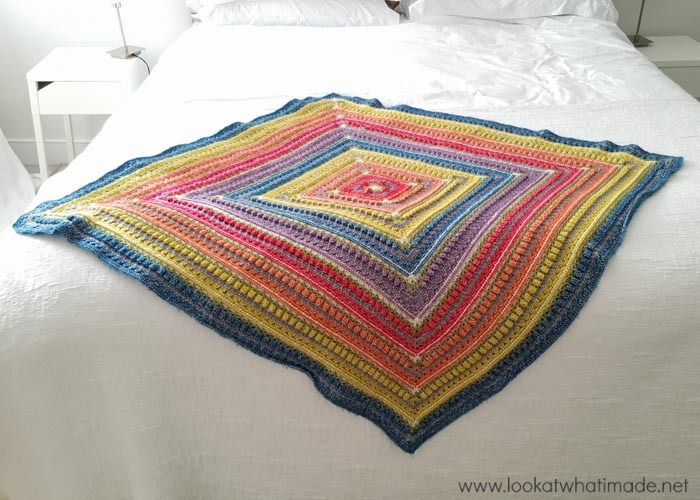 If you are looking for a bigger blanket, using a worsted weight yarn like Stonewashed XL, a 5.5 mm hook, and a lot more yarn will give you a blanket that is just over 1.5 m x 1.5 m. Alternatively, you can just keep adding repeats until the blanket is as big as you want it to be, or you get thoroughly tired of popcorns (whichever happens first). I know that square blankets make most people’s brains fizzle. Later this year, I will release the pattern for making the same repeats in rows. 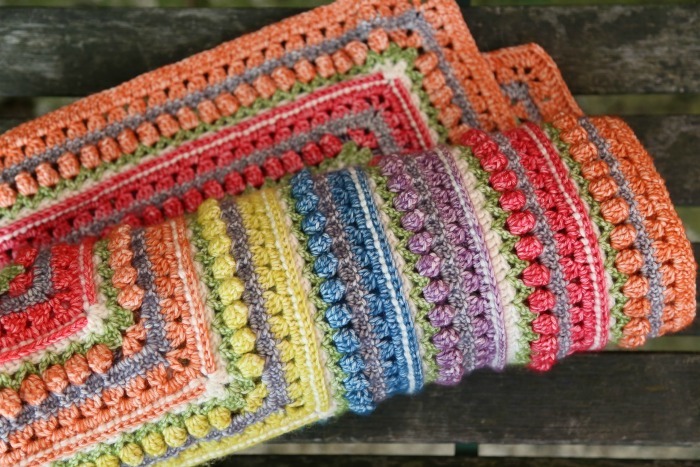 If you really want a rectangular blanket, you can wait until then and ‘marry’ the two patterns to create a rectangular blanket, but this pattern was really meant to be a celebration of all things non-twisty-square and growth-mentality-crochet (yes, those are both things!). If you want to see some photos of the Namaqualand blanket/square, or you want to share some photos of your own progress, please see/use #namaqualandblanket on Instagram. You can also see more photos of the blanket HERE. 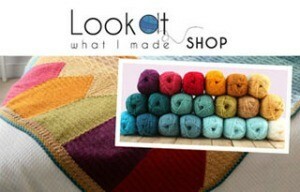 Please check back next week for the pattern! How can I find the pattern for the Rectangular version? Hi. There is no rectangular version at present. Hi Jill. I have sent you two email replies; one before this comment and one after. Did you receive either of them? The stitches do not ‘add on themselves’. The repeats for each side remain the same, except that there will be more repeats in each round. I am copying my reply below. Hi Jill. How exciting that you have started crocheting. I know it can be daunting at first, but the best advice I can give you is to learn absolutely all you can about identifying your stitches and which loops belong to which post. Once you understand that, a world of opportunities and challenges open up to you. After Round 12, it tells you to repeat Rounds 7 to 12 until your blanket is as big as you want it to be. If you repeat these rounds exactly as written (they don’t say do things x amount of times, they say do things until so many stitches/spaces remain), your increases will always be in the corners. When you make a square, you don’t tend to increase in the middle of a side as that would make your square become a wobbly mess. This pattern is just what I have been looking for to make my 14 year old grandson, whose favourite colours are orange and green. He told me yesterday he would love a blanket but more than just orange and green and this is perfect. However, he would like it for his bed, which is double and therefore slightly rectangle. Therefore I will wait until you have managed to do this in a rectangle shape. We live in Australia and these are also Australian colours. 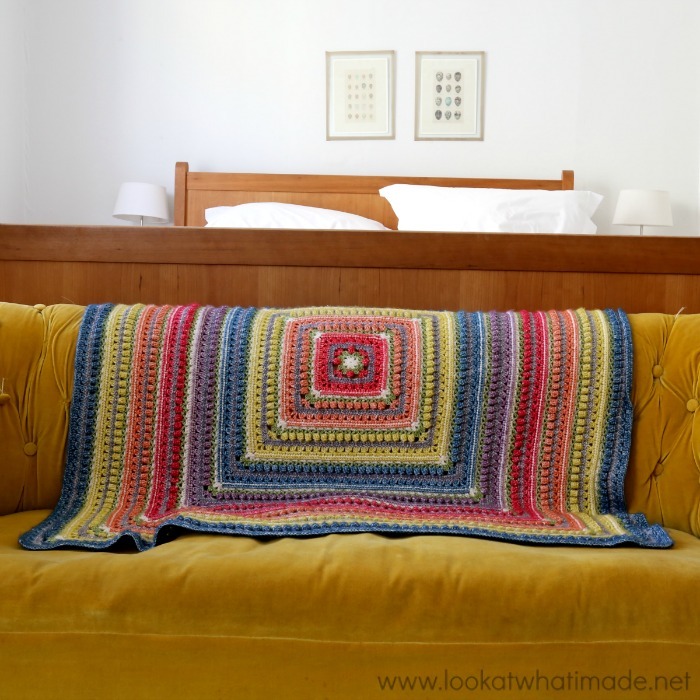 this blanket looks so beautiful and I enjoyed reading a little bit about your family history! Edeltraud, I love your name! Thank you :) I am quite emotional about the blanket (and about spring springing very soon). J’adore votre blog ! 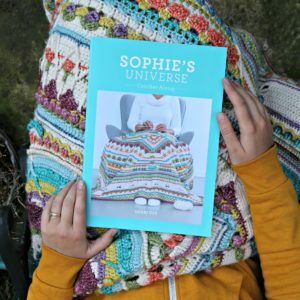 Je viens de m’offrir votre livre “Sophie’s universe¨. J’ai tellement aimé le réaliser en 2015 que je n’ai pu résister ! Vos explications sont très claires ainsi que vos photos, et je ne parle pas anglais. Merci pour tout le temps que vous passez à nous faire rêver. What a wonderful blanket. I’m one of those that like rectangular shapes rather than square. But I plan to marry the two patterns together as you suggested. 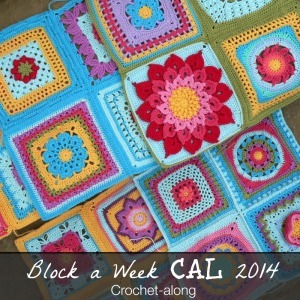 I’ve been keeping up with all of your CALs downloading the patterns, but still behind in actually making the blankets. Love your work. Continue to inspire us with your wonderful patterns. I have soooooo many afghans that I want to do this years, and still have a couple to finish up from last year, so I welcome this smaller one! It is so pretty, I can’t wait. I love following your patterns they make it so much easier for me. I have 3 favorite blogs that I follow, You, Helen and Ester.. 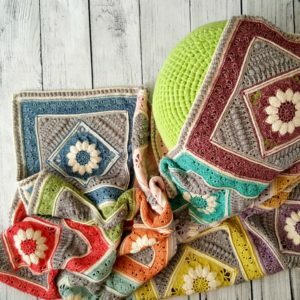 I have been crocheting close to 50 yrs, self taught, until I lost the ability to read the patterns ( long story) I couldn’t even make some of the stitches. 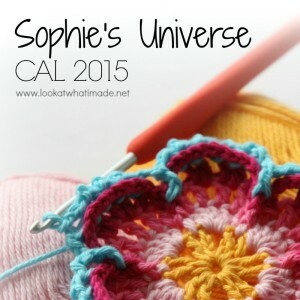 I kept trying, then I found Esther, and I did Sophie’s Universe, that led me to you and all of your wonderful patterns next came Helen and her patterns.I have done so many patterns that I can’t even count them all.LOL I keep my 3 grandsons and my DD and SIL nice and warm. So I would like to say Thank To All of you. Pat, I am so very pleased to hear that Esther’s videos have brought you back the ability to crochet blankets. It must have been very hard not to be able to crochet. May you make MANY more! You make me see the flower carpet, Dedri. Your blanket is absolutely beautiful and I love the story behind it. 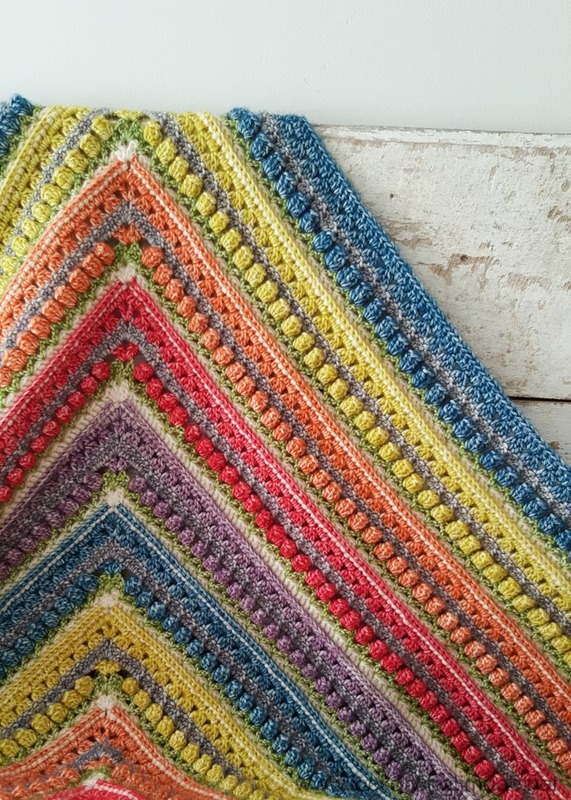 This blanket speaks deeply to my senses…he colors, textures and forms created here are just lovely. I am a rectangle girl but can’t resist this beauty. Thank you Dedri. I’m looking forward to this pattern. Yay! I love that it speaks to you in so many ways. I think I might be a square peg in a rectangular hole, which I never knew was a thing until I started designing and realized I loved square things much better than rectangular ones. Dear Dedri, Congratulations! It is a true reflection of the gorgeous Namaqualand fields! I have been living in South Africa for 16 years- and Spring Day is as important today as is was back then!! 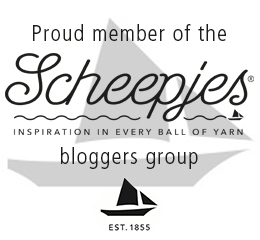 Thank you for your beautiful designs- they bring us yarn enthusiasts so much joy! Another beautiful design inspired by family. I can never thank you enough for sharing your amazing talent. I am blessed to have had Charlotte during my winning battle against breast cancer last year. You make all our world’s brighter. Last month I purchased my very first yarn pack for an XL Sophie. My family secretly purchased me the book before I even had a chance to. I pray you get all the wonderful things in life. You deserve it! Thank you, Cheryl. I am delighted to hear that you are doing better. I don’t know if you know, but I plan (and check) radiotherapy, most specifically for breast cancer. What a thoughtful gesture from your family. How are you getting on? 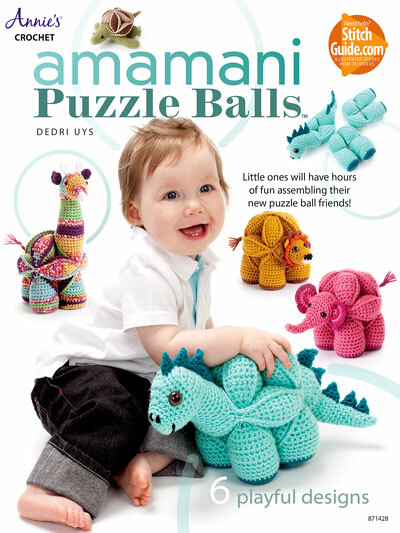 Please let me know if you need any help with the pattern.